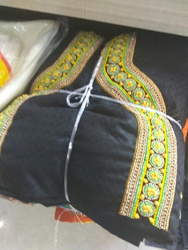 Price Range- 200- 1600 Rs. White Golden Embroidered Shirt With Golden Salwas And Blue Chiffon Dupatta. 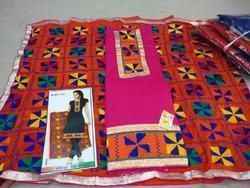 Cotton lawn designer embroidery on print fabric, cotton bottom and printed nazneen dupatta. Stunning Party Wear Salwar kameez with Latest Pattern & design with Embroidery Work .